FastCompany has listed the “World’s Most Innovative Companies“, not surprisingly Apple appears at the top, followed by Twitter and Facebook. Listed as well is Top Ten by Industry, including the following: Advertising, Biotech, Design, Fashion, Mobile, and, last but not least, Music. FastCompany’s editorial team have evaluated thousands of global businesses to create the complete ‘World’s Most Innovative Companies’ list, with a goal to highlight companies that “dare to be different, emphasizing not just revenue growth and profit margins but also progressive business models and an ethos of creativity.” The music category is broadly defined to include major brands who use music creatively, alongside artists and traditional music companies. No record labels made it to the chart, but the inclusion of Hello Music and Songbird in Top Ten Music is an affirmation of their contribution to the latest iteration of the evolving music industry. The winner of the whole category is Pandora, for “bringing its custom-curated music mix to a new venue: cars”. Two brands that stand out are the first runner-up, Coca-Cola, and Converse, who made it to seventh place. Converse for “building a recording studio that’s also a goodwill-generating machine” (Rubber Tracks in Brooklyn), and Coke for its “daring marketing model that redefines the relationship among consumer brands, record companies, and artists”. 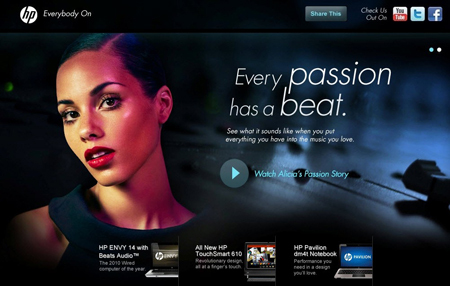 Neither of these brands are considered as traditional parts of the music industry. Below is the Top Ten in Music list. The international version of Sounds like Branding is licensed by publishing company A & C Black Publishers in UK, and Acorn Publishing in South Korea. In South Korea it will most likely be released in June, in Europe, US and the Commonwealth in July. For more info, subscribe to our latest news (up to the right), or just continue to keep an eye on this blog. Interested in a beta version of the book? Subscribe here or just download it here. 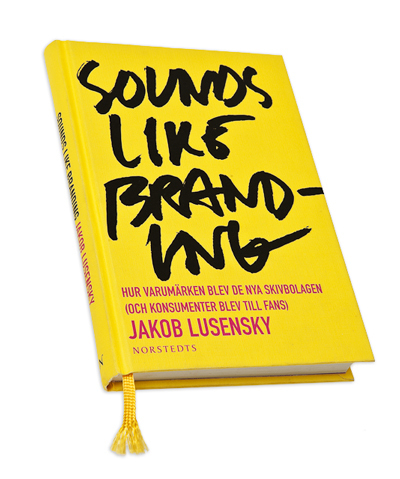 The Swedish version of Sounds like Branding is available for purchase here.